obtained a dismissal of their client in a medical malpractice case filed in Duval County against multiple physicians and facilities. The Plaintiff alleged that the emergency medicine physician failed to properly diagnose an elongated QT Interval in a suicidal patient. The Plaintiff alleged that although properly Baker Acted, the Plaintiff should not have been medicated in the psychiatric facility given the underlying cardiac issue and that such medication caused the death. 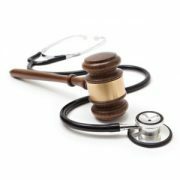 The defense of this physician was that his care did not cause the death of the minor Plaintiff. 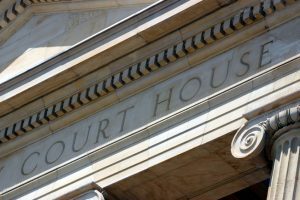 Although all of the other Defendants represented by other attorneys settled their claim, the Plaintiff filed a notice of dismissal of the claims as to the physician and no settlement was paid on behalf of the Defendant emergency medicine physician. David Nelson and Vicki Jobling were successful in obtaining a Final Summary Judgment in favor of a hospital in a case involving allegations that the hospital was liable for the alleged negligence of an emergency room physician. In that case, the plaintiff alleged that when he came to the ER following a sports-related injury to his foot and ankle, the emergency medicine providers negligently failed to diagnose “compartment syndrome” a painful condition that can lead to irreversible muscle and nerve damage. 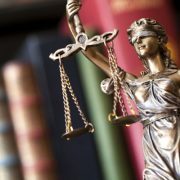 The plaintiff alleged that, as a result of the failure to diagnose “compartment syndrome,” he suffered permanent muscle and nerve damage in his foot, ankle and leg, leading to pain and an inability to not only perform his job as an insurance claims adjuster, but also the loss of promotion possibilities at his place of employment. 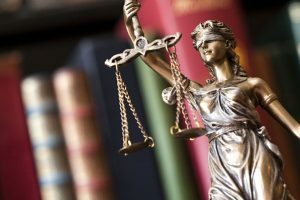 In his Complaint, the plaintiff alleged that the hospital could be held liable for the negligence of the emergency medicine providers under “non-delegable duty” and “apparent agency” theories. The Judge disagreed and entered a Final Order of Summary on these claims. A copy of that Order and the Order denying the plaintiff’s Motion for Rehearing are attached to this email. Lou La Cava and Iva Valtcheva tried a medical malpractice case in Hillsborough County which resulted in a hung jury. The Plaintiff underwent a laparoscopic cyst drainage which resulted in an undiagnosed small bowel injury. She became septic and went on to undergo amputations of all four of her extremities as well as a loss of all of her abdominal muscle due to infection. 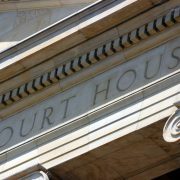 Plaintiff alleged negligence in causing the perforation, not making an earlier diagnosis and failing to take her back to surgery sooner to repair the bowel. 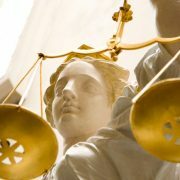 The Plaintiff asked for in excess of 25 million dollars in economic damages alone. After a 7 day trial the jury was unable to reach a unanimous decision. 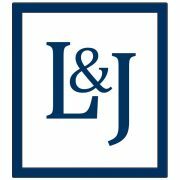 Lou La Cava and David Young obtained a defense verdict for two emergency room physicians and a hospital in a case tried in Hernando County. The Plaintiff alleged that the physicians were negligent for failing to diagnose and treat Group B Strep meningitis in a 17 week old child who was brought to the hospital with symptoms of a high fever, high heart rate and spitting up more, on one visit and the next day with lethargy and vomiting. The child did suffer neurological injuries which resulted in a right hemiparesis as well as severe cognitive deficits. The defense argued that the both physicians met the standard of care and that the unfortunate outcome was the result of the disease process and not negligence. After a two week trial the jury returned a verdict in favor of the physicians and the hospital after deliberating for approximately one hour. Lou La Cava obtained a dismissal without any settlement payment for his radiologist client in a medical malpractice case filed in Hillsborough County. Plaintiff alleged the radiologist negligently read an MRI resulting in a delay in diagnosis of a spinal epidural abscess which led to plaintiff’s severe neurological damage. While co defendants in the case settled La Cava maintained his client’s interpretation of the MRI was well within the standard of care and was prepared to try the case if it was not dismissed. The plaintiff dropped the case against the radiologist without a settlement payment. Lou La Cava obtained defense verdicts from two jury panels in a summary jury trial ordered by the court and held in Palm Beach County. 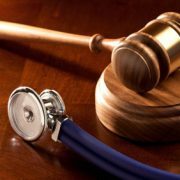 In the medical malpractice wrongful death case the plaintiff alleged that a family practice physician and a physician’s assistant were negligent in failing to refer a patient to a cardiologist. The plaintiff argued that failing to make that referral led to the patient dying two days after the office visit as a result of a heart attack. After a one day summary jury trial the first jury panel returned a defense verdict in 12 minutes finding the doctor and the physician’s assistant not negligent. 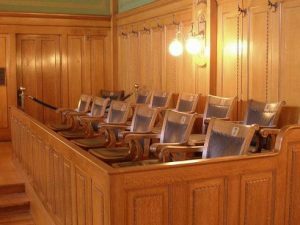 The second jury panel returned a defense verdict in 14 minutes also finding the doctor and the physician’s assistant not negligent. Lou La Cava and Barbara Chapman obtained a defense verdict for a hospital in a three week medical malpractice wrongful death case tried in Hillsborough County. The plaintiff alleged the hospital nurses were negligent in failing to identify signs and symptoms of a post operative bleed. It was further argued that the hospital staff failed to carry out Stat orders in a timely manner contributing to the delay in diagnosis of severe postoperative bleeding and the death of the patient. The decedent was survived by his wife and an adult disabled son. After the 3 week trial the jury returned a defense verdict finding there was no negligence on the part of the hospital that was a legal cause of the death of the patient. Lou La Cava and Barbara Chapman received a defense verdict in a medical malpractice case tried in Hillsborough County. 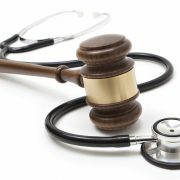 Plaintiff alleged a hospital was negligent as a result of its ICU nurse not appropriately performing neurological examinations on a sedated ventilated patient. 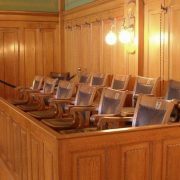 Plaintiff argued the nurse should have reduced the patient’s sedation in order to determine his neurologic status. They further alleged if that was done she would have discovered that the Plaintiff was paralyzed which would have resulted in evaluation by a neurosurgeon. The patient was ultimately diagnosed with a thoracic spinal epidural abscess. He ended up a quadriplegic and ventilator dependent. Plaintiff argued that earlier surgery would have improved the patient’s outcome. The patient ultimately made a decision he could not continue to live with his condition. He decided to have the ventilator removed and passed away. After a 9 day trial the jury returned a verdict finding the hospital was not negligent and did not cause the patient’s death.